Looking forward to Green Lantern: Emerald Knights? Me too, and nothing makes me happier than knowing that the animation is almost identical to my favourite DC animated movie so far - First Flight. Here's the official synopsis and the newest pic. 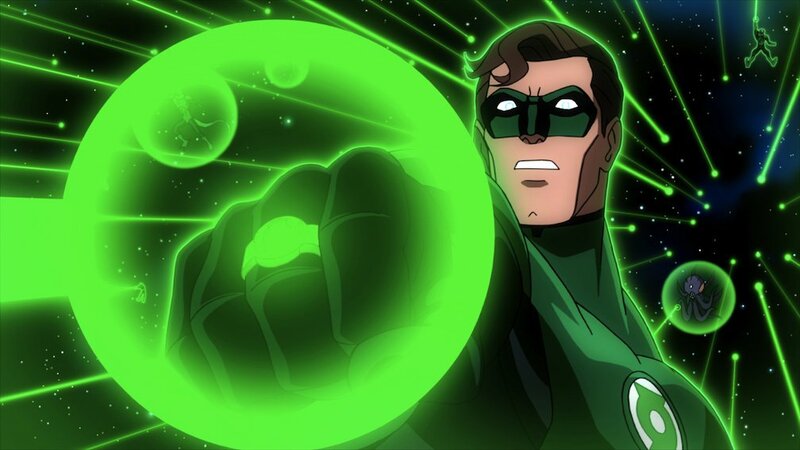 Green Lantern: Emerald Knights is an all-new DC Universe Animated Original Movie that weaves six interlocking stories of the Green Lantern Corps’ rich mythology around preparations for an attack by an ancient enemy. As the battle approaches, Hal Jordan (voiced by Nathan Fillion, Castle) mentors new recruit Arisia (Elisabeth Moss, Mad Men) in the history of the Green Lantern Corps, telling tales of Avra (the first Green Lantern) and several of Hal’s comrades – including Abin Sur, Kilowog, Laira and Mogo. In the end, Arisia must rise to the occasion to help Hal, Sinestro and the entire Green Lantern Corps save the universe from the destructive forces of Krona. Penned by comic book luminaries Geoff Johns, Dave Gibbons, Peter J. Tomasi, Eddie Berganza, Alan Burnett, Todd Casey and Michael Green & Marc Guggenheim, Green Lantern: Emerald Knights will be distributed June 7 by Warner Home Video as part of the build up to the release of the highly anticipated live action film, Green Lantern, in theatres June 17th.